Drum roll please....as we read Revelation 18-22, the end of John's vision from Jesus and the last book in the Bible. What Christians know as "Judgement Day" is coming. Jesus will come again, and only God knows when that is. John is telling us all about it. It sounds to me like Babylon and anyone figuratively or literally guilty like Babylon is in big trouble. We have to face our guilt, admit our wrongs, and ask forgiveness. Repenting makes us "cool" in God's eyes, and it's just as important as our belief in Jesus. As believers, we have so much to look forward to at the end of life as we know it. Judgement Day is a little scary because there is so much we don't know, but we do know that God is true to His word. His promises for us are amazing, just like He is. The new life we have in Christ applies to our here and now, and it also applies to our eternal life. Need some motivation to strengthen your faith? This is exactly what we need! As we finish out the year and celebrate the New Year, what revelation is God working in your heart? I thank you for revealing Yourself to me. Thank you for blessing me with Your divine presence and the new life I have through Your Son, Jesus. Lord, help me to live my life for You. I know I mess up all the time, but I love you with all my heart. I pray for your mercy and grace, and I pray for Your kingdom to come and Your will to be done. Revelation 13-17 is full of more scary happenings as the devil is very much at work in the world (a bad dragon and beasts cause lots of problems). Although I am not really sure of the details of the bad stuff, I know it’s evil at its best. As a believer, I’d like to avoid getting caught up in that at all costs. I have to keep reminding myself that even with all this crazy bad stuff going on (plagues and suffering), God is still all powerful and very much in control of things. He’s the One we have to be sure to depend on and follow. I have a hard time relating to all the “super-naturalness” of Revelation, but I know it has a real purpose in my life and my faith. From my viewpoint, I don’t have to look far or reflect much to recognize things that distract me, deceive me, and interfere with my relationship with God. Bad stuff happens to good people and good people, God’s people, are prone to getting lost in this world. Revelation offers me a picture of the need for perseverance and deep trust in my faith, despite what is going on around me. We have hope in God through our faith, but a faithful life in this world isn’t always an easy or obvious road to follow. I have to be intentional about making every decision in my life a Godly decision. I am realizing more and more how difficult a task this can be because my good intentions don’t always lead to good decisions or faithful discernment. The reality, I am learning, is that I have to ask God what He wants and needs me to do with every step I take. And after I consult my Mighty Counselor, I have to hear Him before I act. What is your purpose right now? Is your purpose the same as God’s purpose? What steps is He asking you to take as we begin the New Year? Thank You for making me one of Your believers. Help me to hear Your voice and follow Your direction in my life. Forgive my missteps and continue to redirect me with Your loving arms. Guide me in living out the purpose You place on my heart. Show me Your will for me each step of the way. You are my Rock and my Redeemer, my Savior. We read through Revelation 9-12 today. Thank goodness for the NIV Life Application Study Bible my husband just bought himself. I wouldn't have a clue about what's happening without its helpful side notes on the text. We read about "angels" but learn that while some our our traditional heavenly angels, some in this book are those who "have fallen" and are evil forces working for the devil. The devil is up to no good in our very lives. Locusts and plagues and earthquakes are unleashed on the world. Many are tortured and die. It is scary, mysterious stuff, and John mentions that he is not allowed to reveal all that he sees to us. 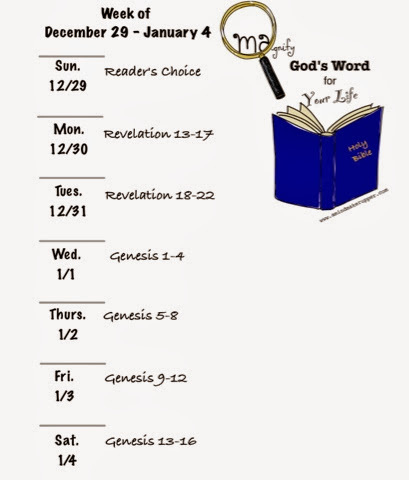 Just for the record, it's day three of reading Revelation, and I am still confused. And you know what? I am perfectly okay with that. I am thinking right now that I don't want to know everything about everything that is to come. There's no way I'd be able to sleep at night! There's one thing that's clear in this overwhelmingly figurative and symbolic book. God is the ONE in charge of it all. That is all I need to know. After that, I just want to nurture the faith God has given me out of His good grace that saves me and seals me as one of His children. I believe in Jesus! And from the sounds of these chapters in Revelation, I need to make sure I am living a life of thankfulness for my belief. Thank You for Your almighty power and plan for Your creation. I pray for Your forgiveness for all my imperfections. I know I am made perfect in repentance through Your Son, Jesus, my Savior. Soften my heart for Your glory. Open my heart to all the things I need to bring to You, all the ways I need to walk more closely with You. I want You to reign in my life. I also pray for __________ that they will know You and Your love and Your power, today and always. We read Revelation 5-8. And at least for me, this book becomes more and more of a mystery to me. We hear about a scroll and a sacrificed "Lamb" who is the only One worthy of opening the scroll. We know Our Lamb is Jesus. Then, we learn about seven seals the Lamb opens. They unleash all kinds of scary stuff on the world. It's all part of God's plan for eternity. I admit, once again, that I don't understand it all. As I read, though, I know that I will come to understand more and more as I grow in my faith. I also know that I want to be with God at His throne for eternity. I believe in Him who saves me. I do not want to disappoint Him. I need His forgiveness and grace. I have to follow my shepherd. Thank goodness He already knows who I really am, how confused I get. Thank You for knowing me and loving all of me. Your thoughts are better than my thoughts. Help me to strengthen my faith and to know You more and more. Work in me and through me with Your power for Your glory. So back to Revelation 1-4, John gets a vision from Jesus while being "in the Spirit" about days to come. That's what sets this book apart from all the other New Testament writing. We learn Jesus' words concerning seven stars (the angels over the churches) and seven lamp stands (seven churches in Asia). The bottom line in these first chapters is this; hold onto your faith. Don't forget what you believe, and act on it. I don't know about you, but the book of Revelation has always been very intimidating to me. In fact, I admit to avoiding it. The details are a little scary and kind of weird to my mortal mind because I don't get it all at this point. I hope that's okay for now. Thank you for being with me in Spirit. Forgive me for all the times I do not prepare enough room for You in my heart. You deserve all the glory and honor and power, Lord. I want to know the fullness of Your joy. I am so thankful that I always have everything I need with You. I wake up today surrounded by family. My house is packed to the gills, more people than beds. The tree is glowing and overflowing with pretty packages. The air smells of comfort and joy (sausage balls and strong coffee). My kids and their cousins are vibrating with excitement to tear into their Christmas gifts. The voices, the laughter, and the hugs, all glimpses of the true meaning of Christmas. Yet, that's not all. There's lots to see and do today, but so much more to celebrate! The time is here. In faith, I have to be intentional about unwrapping the beautiful everlasting gift that is bigger and better than anything that will ever fit in a box or be contained with a ribbon. 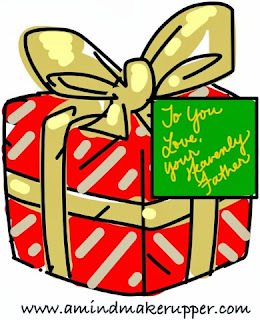 I have to help my children see that gift and unwrap it for themselves too. I have to tell the story, and read the Holy Living Words in Luke 1:26-56, 2:1-40 and Matthew 1:18-25, 2. Merry Christmas everyone! Today, we honor the birth of Jesus, Our Savior, Emmanuel. God is with us now and forever! Our faith tells us how amazing this day is, how glorious! And if I take the time to stop and quite my heart, my mind, and my soul, and invite God in, I can feel it. 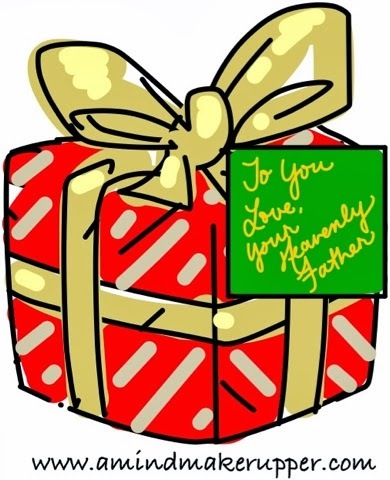 Our mighty God is with us-- The perfect gift, given out of true abounding love for you and me, from God Himself. 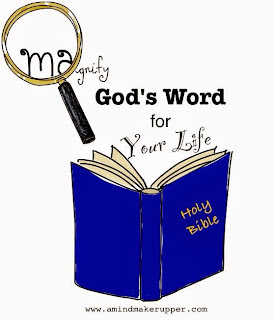 For the Everyday Reading Project today, we read 2 John and 3 John by John, one of Jesus' disciples. And then, we read Jude, a brother of James. The overall point of these three books in the New Testament is to help us avoid being deceived and distracted in our faith. God loves us, and we are saved by grace. It's a gift, but we have to be intentional about being faithful. We may even have to fight for our faith at times. Even though this isn't the Christmas story we all hear this time of year, this message is perfect for the holiday season. Today, I pray Paul's prayer from Ephesians 3:14-21 for all those who read this post and those on my heart right now _______________. Thank You for Your Son, Jesus. Christ, 19 and to know this love that surpasses knowledge—that you may be filled to the measure of all the fullness of God. 20 Now to him who is able to do immeasurably more than all we ask or imagine, according to his power that is at work within us, 21 to him be glory in the church and in Christ Jesus throughout all generations, for ever and ever! We hear from Jesus' beloved disciple today in 1 John 1-5. This time he is writing to us to set the record straight. God came to us through Jesus. He was a living, breathing man who lived among us to save us from our sins. John saw it all first hand. He was there. He is telling the truth. And even through Jesus is now in Heaven, He is still with us in the Holy Spirit. I don't know about you; but for me, knowing John witnessed Jesus, in all His glory, so intimately, I just can't wait to read more. His words are full of God's truth and love for us. God's love for me is what saves me. God's love is so powerful. It changes me. It's what heals me. It's what fills me with joy. Yet, God's love is so much bigger than me and my understanding. Thank goodness, God knew I needed that kind of pure love. I can know this love God has for me and what I am supposed to do with it because of Jesus. He came to us as a little baby born in a manger. 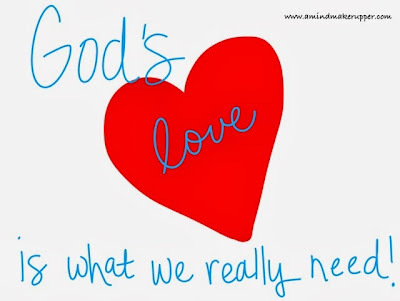 3 See what great love the Father has lavished on us, that we should be called children of God! I just love hearing all that don't you? God "so loved us." He still does. That's what he wants us to depend on day to day. I hate to admit it, but I know I need to. I forget about God's perfect and powerful love sometimes. I get caught up in my busyness, my impatience, my frustration, my anger, my poor perception, my bad judgement, my own selfishness and I mess-up. I am a sinful woman. God wants to pour His love out on all of that for me, but I have to CHOOSE to let Him. And here's the other thing about God's love. It's not just for me. It's for all of us, everywhere. We are all made perfect in God's love. That's how God calls us to look at each other too (not just ourselves), through His love and grace. Thank you for loving me so much. Thank you for sending Jesus to be my example. Your love is all I need. Forgive me for often failing to see others through Your love and grace. I pray you will help me to love others in Your truth. Help me let go of my imperfect love and replace it with Your love. Guide my actions, Lord. I want to be more like Jesus. To You, be the power and glory forever and ever. We read 2 Peter 1-3 today as the former fisherman turned apostle writes his second letter to believers. He reminds us to rely on the prophesies, the scripture, and God's promises for our direction in life. He warns us about getting side-tracked and distracted by all the worldly people and things that get in the way of our relationship with God. I am reminded today of God's amazing big picture. Since creation, He has held us in His hands. The way God works out the details is just so intricate and beautiful. Look at Peter. He was a fisherman first. Then, God called him to something more, and he fished for people. Think about Peter's faith journey, all that he was able to see and do. He experienced God firsthand. God transformed him. 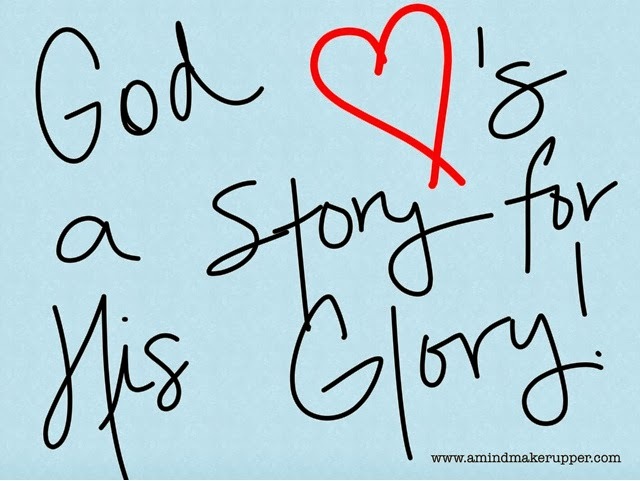 It is such a blessing to be a believer in God's story and know that He is working things for good and His glory. We may not be one of Jesus' original disciples, but Jesus is with us if we put our faith in Him. He changes our lives. A life with Him is a life of more, just like it was for Peter. God invites us to have an ever-growing relationship with him. I am so thankful He doesn't give up on us. He strengthens us, and the more we get to know Him, the more we are able to witness glimpses of His majesty. 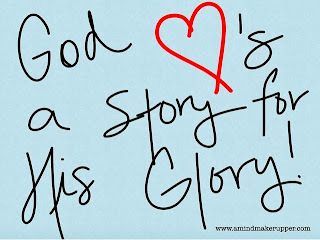 I have experienced the power of God's majesty and glory in my life. How about you? Let's celebrate our Living God this holiday season. Let's look for Him and find Him. Let's call on Him and hear Him. Let's praise Him! I thank You for making me part of Your story. Fill my heart with Your loving presence. I pray for eyes to see and the ears to hear You in all Your majesty and glory in my day to day life. I celebrate you, Lord! Help me to grow in grace and knowledge of my Savior Jesus Christ. To You be glory, both now and forever! 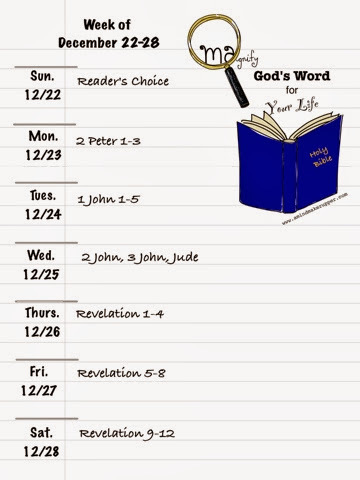 Today we read 1 Peter 1-5. Remember the disciple, turned apostle, who denied Jesus three times at the time He was crucified? Here he is today, with Silas, teaching us to embrace our sufferings as Christians. The man who once ran from his faith out of fear is standing firm now in the hope we have in Christ. He acknowledges that Christian life can be hard, but it is not without purpose. The holiday season is all around us, and I can't help but think about what an amazing gift Jesus' birthday is to us. God comes to us, in the flesh, full of promise. Everything we read, all the hope we have, the saving grace we receive, it all comes true with the birth of our baby Messiah, in a manger. It's the most perfect gift we will ever receive, and it's everlasting. We have so much to celebrate in our faith, and Christmas is a perfect place to start. Thank You for Your beautiful creation. Thank You for the perfect plan and glory I have in You. Most of all, thank You for the gift of Jesus, and the everlasting hope His grace brings to my life. Fill me and those on my heart with Your Holy Spirit. Help us to remember You and praise You this holiday season. To You, Lord, the God of all grace, who calls us to eternal glory in Christ, be the power for ever and ever.